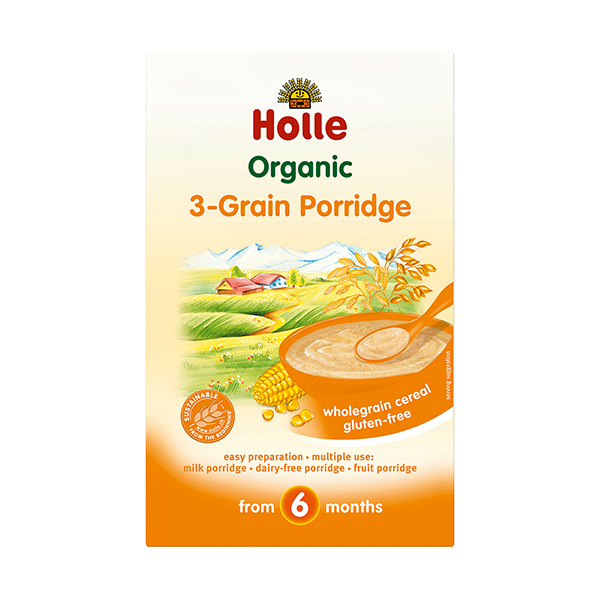 Holle Organic gluten free Three Grain Baby Porridge is ideal for weaning young babies and infants. 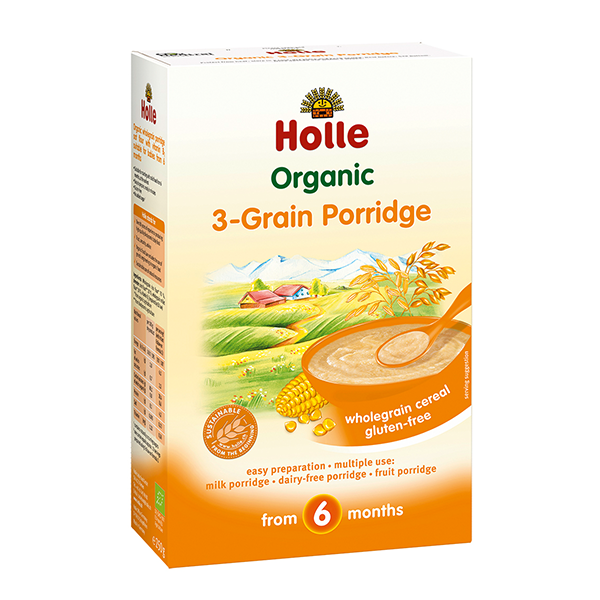 Three of the most popular gluten free grains (rice, corn and millet) come together in this organic baby porridge. 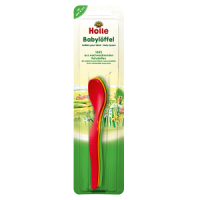 Suitable for babies from after 6 months. 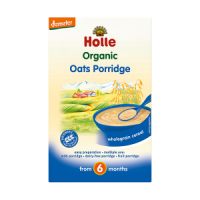 Ideal for use as a gluten free breakfast with breast milk, baby formula milk or water. 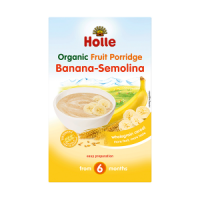 If you add freshly prepared fruit puree (quickly and simply prepared using the Ulula glass grater) or add some teaspoons of one of the Holle fruit jars your baby will enjoy a delicious and nutritious afternoon snack. 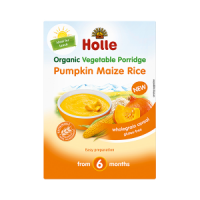 To make up a lunch for your baby just add the Holle gluten free Three Grain Baby Porridge to your home made vegetable puree or mix with Holle carrots, carrots with apple or parsnips. 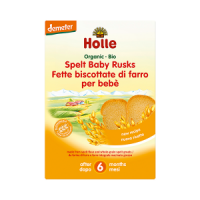 Holle organic baby porridges are now CO2 neutral. 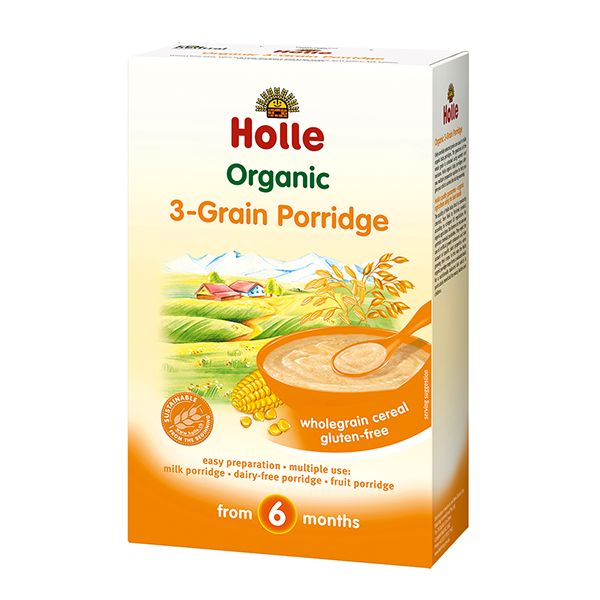 Please note: These boxes of Holle Organic 3 Grain Baby Porridge are discounted due to damaged outer packaging. Instant. 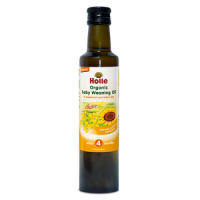 Gluten free and no added sugar or salt. Free from cows milk protein. Wholegrain rice* 70%, wholegrain corn** 20%, wholegrain millet* 10%), Vitamin B1 (required by law).